If you happen to see Chevrolet Beat with a sports car heart or the Chevrolet Cruze zooming at unbelievable speeds, it should not be a matter of surprise. Reason: Chevrolet will be seen competing at IndyCar after a gap of 6-long years. The media reports suggests that Chevrolet may use the same technology which is in its racing cars into its streets vehicles, with some slight changes. It has become a trend that most of the cars companies are testing technologies at racing tracks and adapt them in passenger cars. The car companies are making their passenger cars more powerful, more efficient, light weight and improved aerodynamics like the racing cars. The engineers of General Motors Co. are busy in developing latest technology as they claimed that trust is the main aspect which people look at before buying a car. The sources said that this weekend’s Detroit Belle Isle Grand Prix would witness Chevrolet vying with competitors at racing tracks. GM engineers will get the exposure while developing racing cars and later they will bring the knowledge and experience in improving passenger cars with low friction, advance suspension, and improved aerodynamics. Fuel saving is another point on which the GM Motors are focusing on. GM Motors want its young engineers experience it at racing tracks and learn from it as it would help building better GM cars. It will infuse more confidence among the engineers. It’s not the first time that GM Motors would be seen at racing tracks. 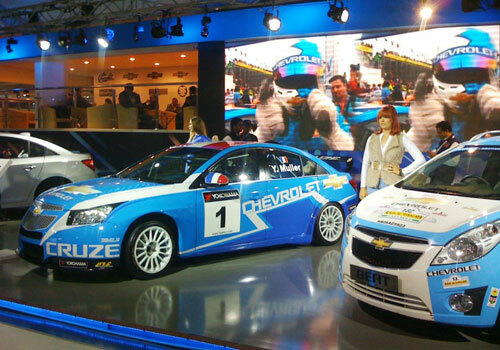 To trace the history of the participation of Chevrolet in motor sports, one has to go back many decades. Three brothers Arthur Chevrolet, Gaston Chevrolet and Louis Chevrolet were fond of motor racing. In fact, in 1911 it was Arther Chevrolet participated in the first race. While participating in various racing, Chevrolet has won many titles by defeating its competitors, including seven Nextel Cup season championships. According to industry experts, for long Chevrolet has to depend on an auto racing association for generating more than 30% sales leads. 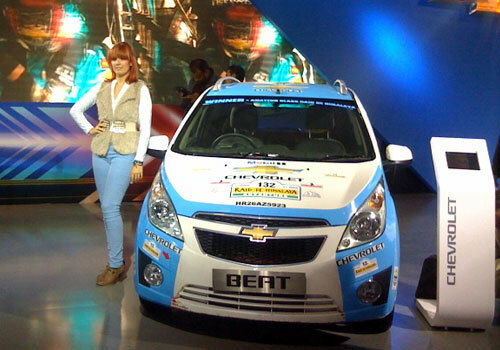 If people want to low price range sport car then Chevrolet car can full effect for sport car lovers.